Want to get involved? Click here for a list of projects suitable for assorted skillsets from tidying up to carpentry work and mechanical, there’s a place for everyone to serve. 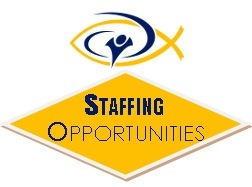 Click the link below to learn more about current staff volunteer opportunities: ­­Registrar, Administrative, Kitchen Staff, Landscaping & Grounds, Auto Shop, Facilities & Maintenance, Creative Media, Food Ministries, Mission Builders, Vacations With A Purpose and read about staff commitment and expectations.